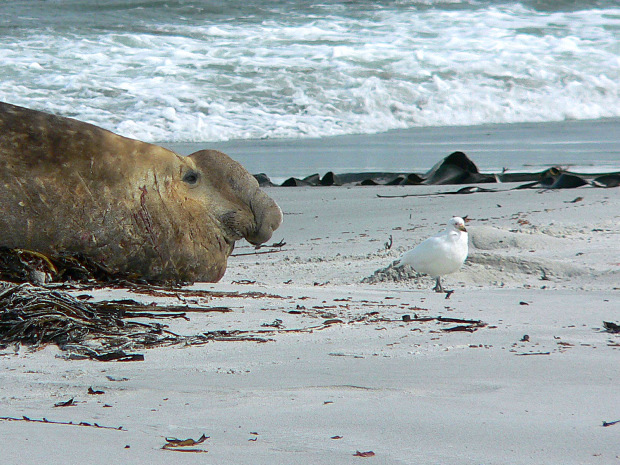 Sea Lion Island is the southernmost island in the Falklands archipelago and this island is particularly interesting because it is a breeding territory for the huge southern elephant seals so, depending on season, you may see them busy in different activities (in September, males return to the beach to establish their harem; in october and november there are small puppies; from late January to february they come ashore to moult). Sea Lion Island has a nice lodge with "full board" meals, ideal for who wishes an in-depth contact with nature and wildlife, but in the full comfort of a specifically built accomodation. 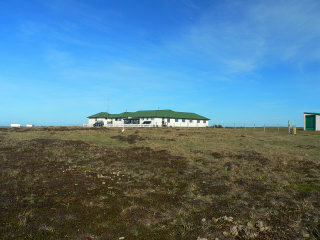 There are rooms with own bathroom and shower, hot water, electricity for most hours, a bar, a souvenir shop and also a computer with Internet. 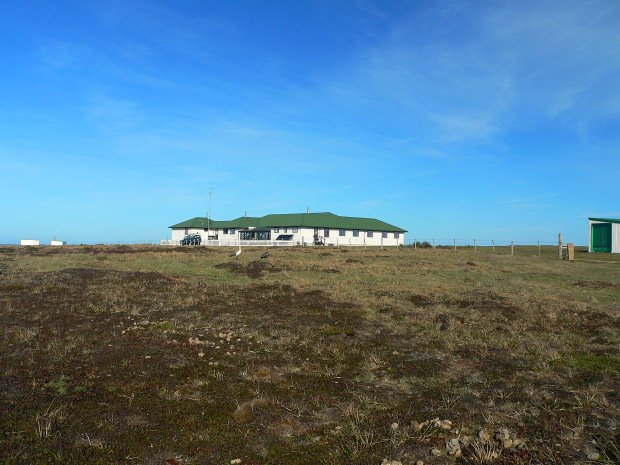 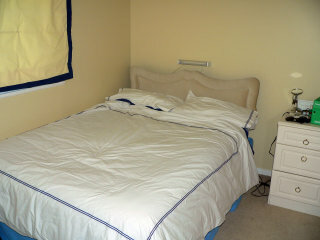 On the pictures, the landing strip, the lodge from outside and my bedroom. 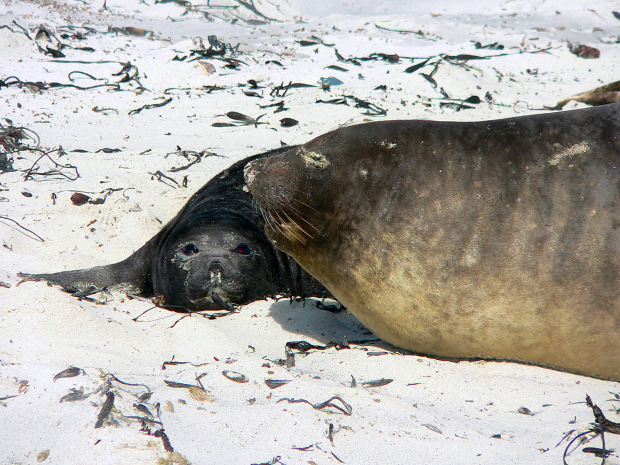 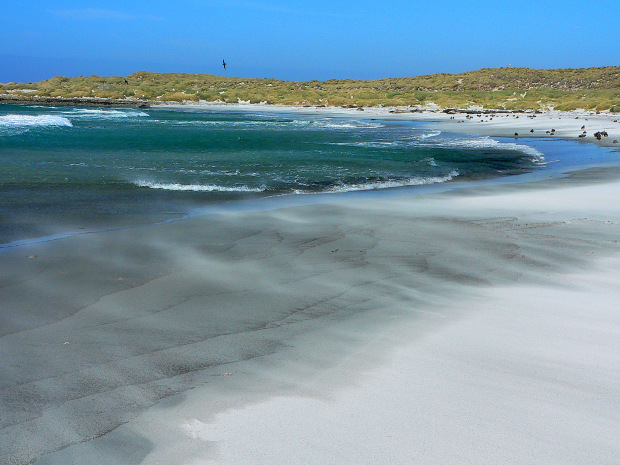 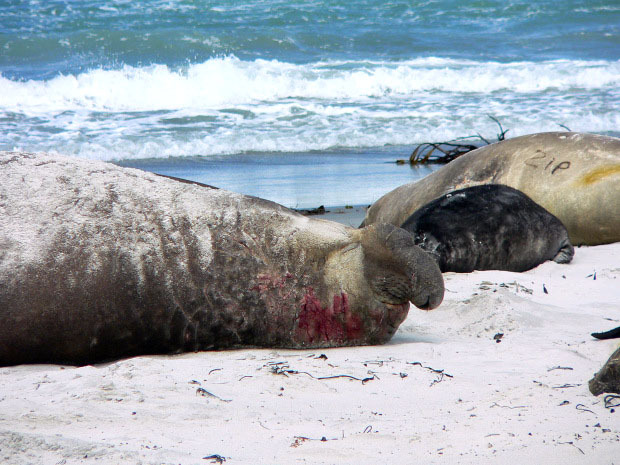 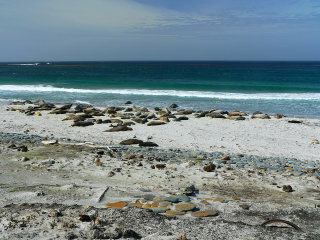 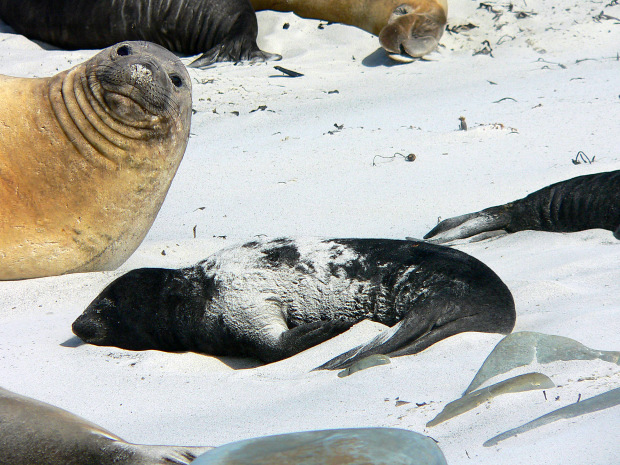 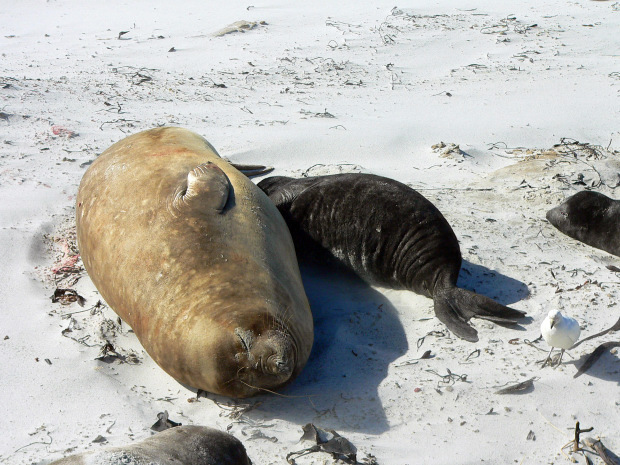 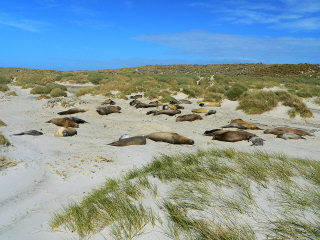 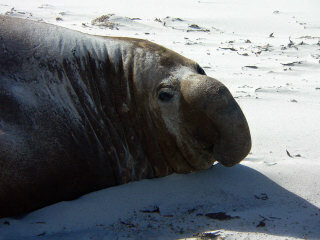 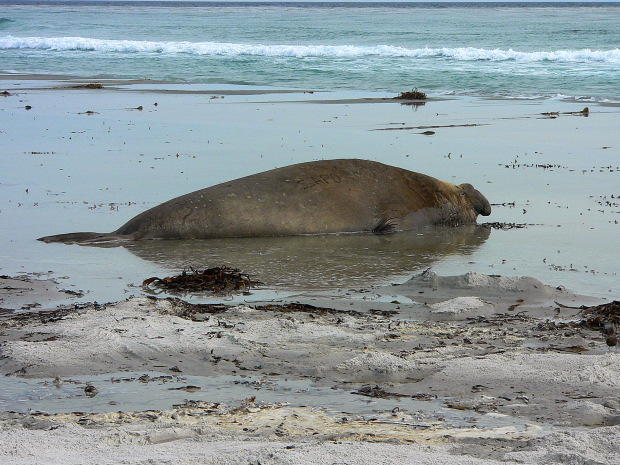 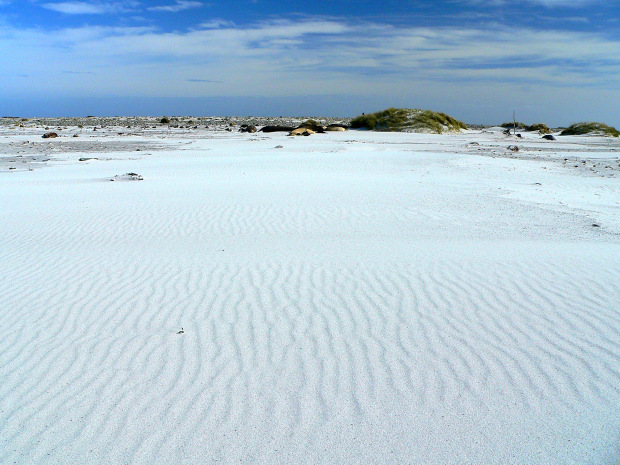 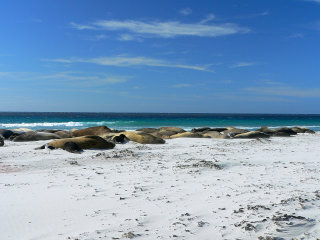 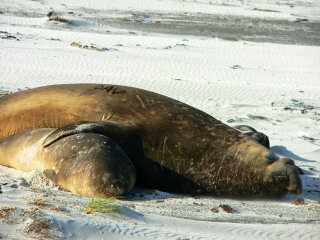 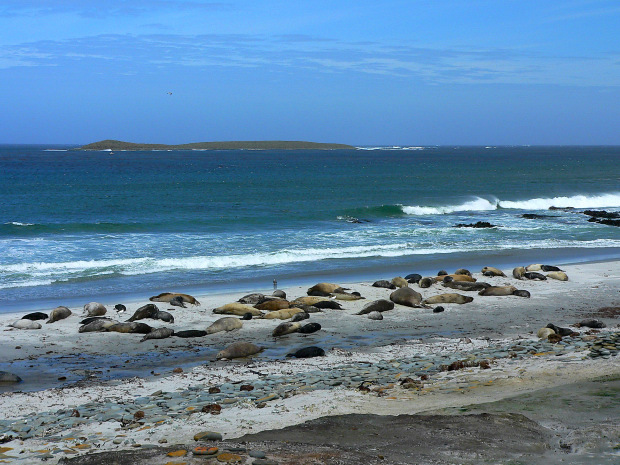 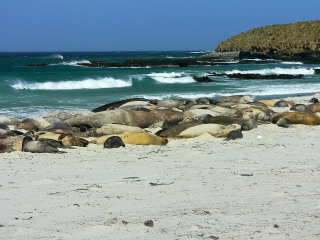 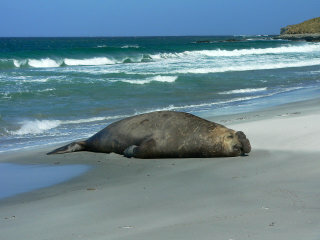 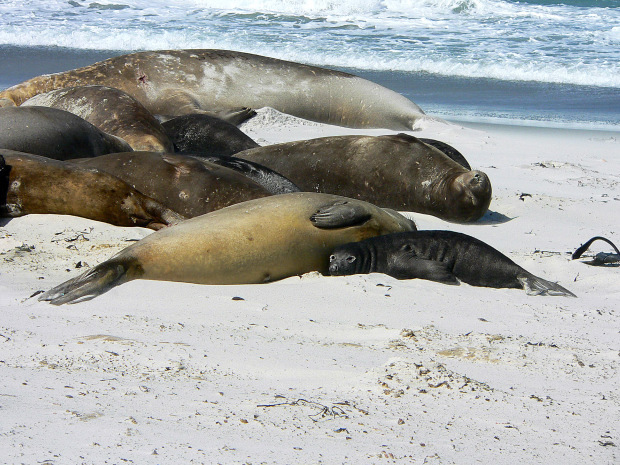 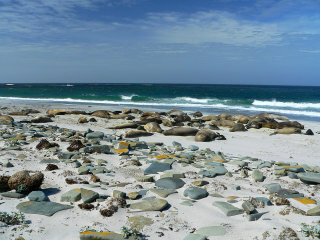 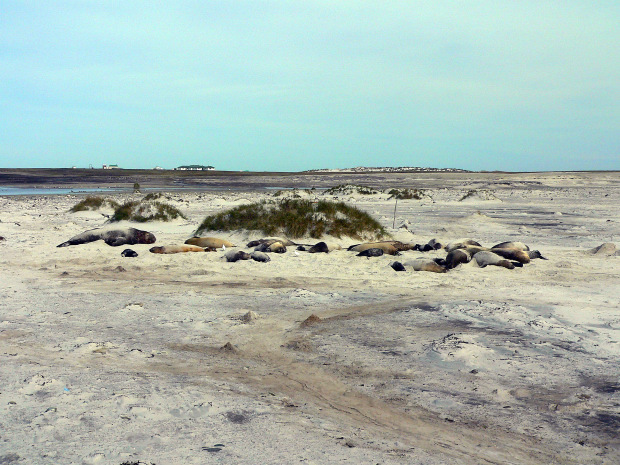 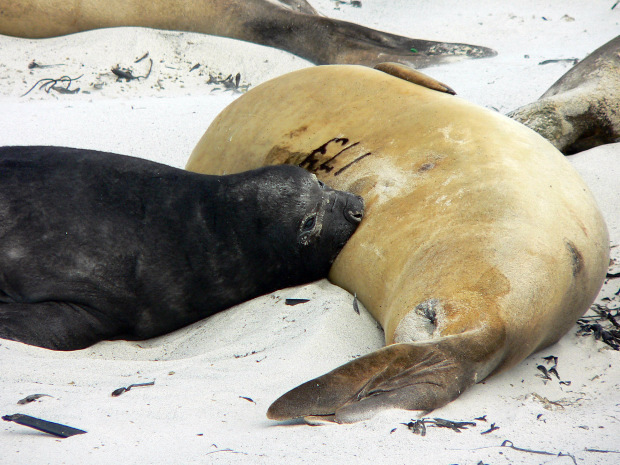 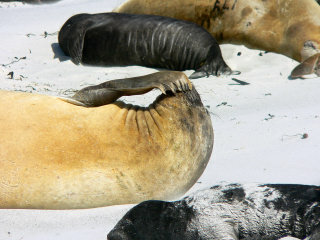 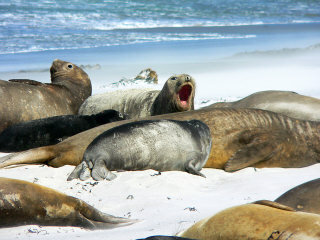 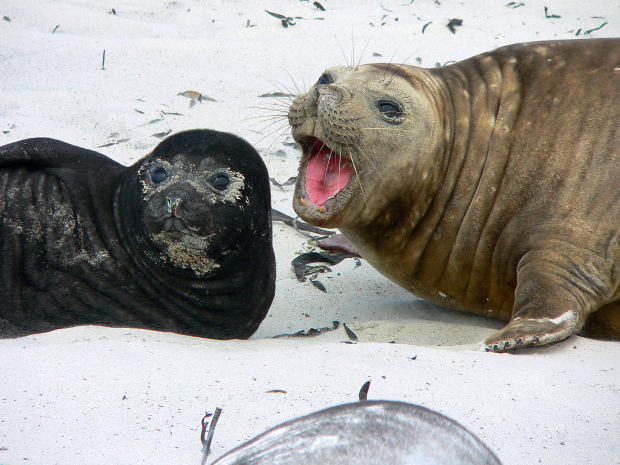 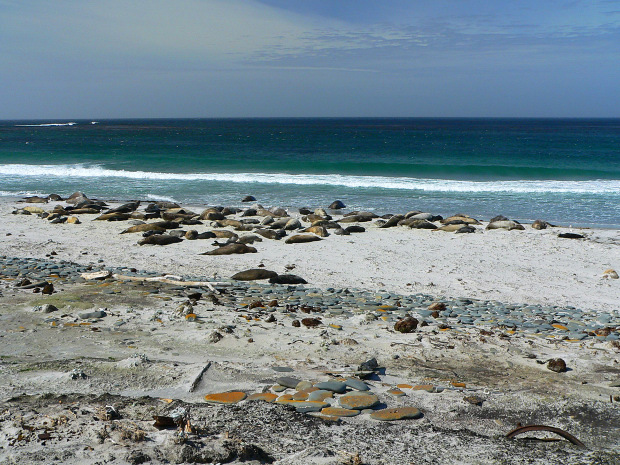 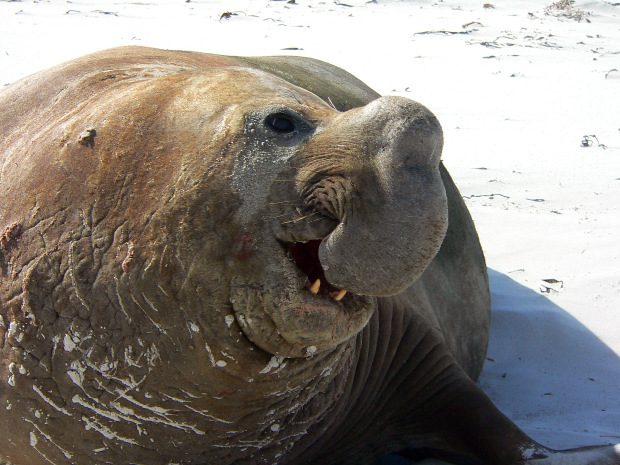 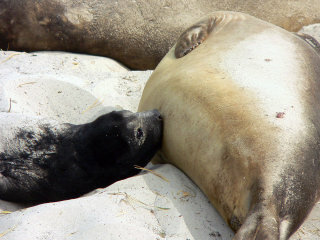 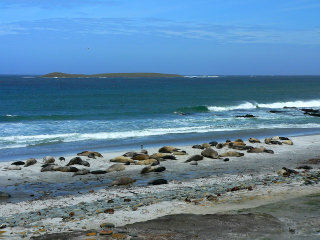 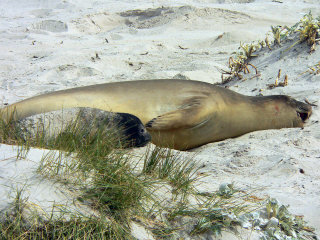 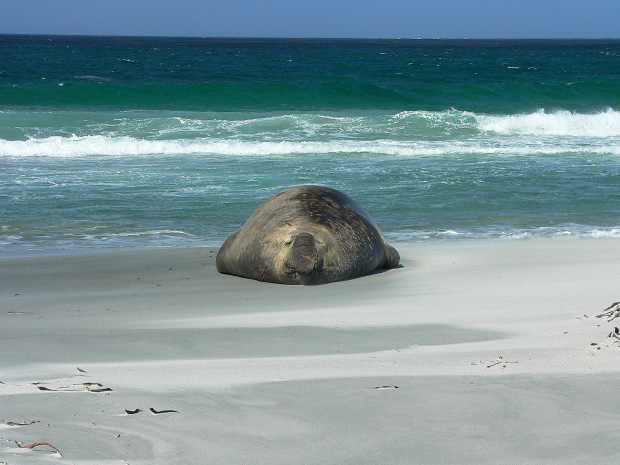 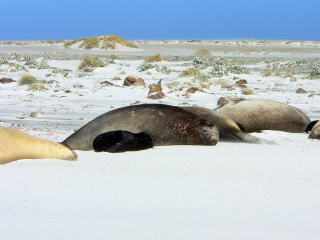 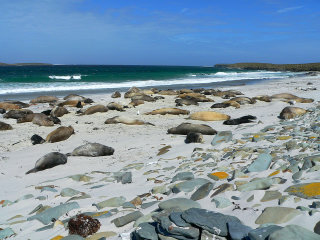 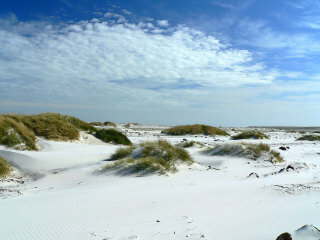 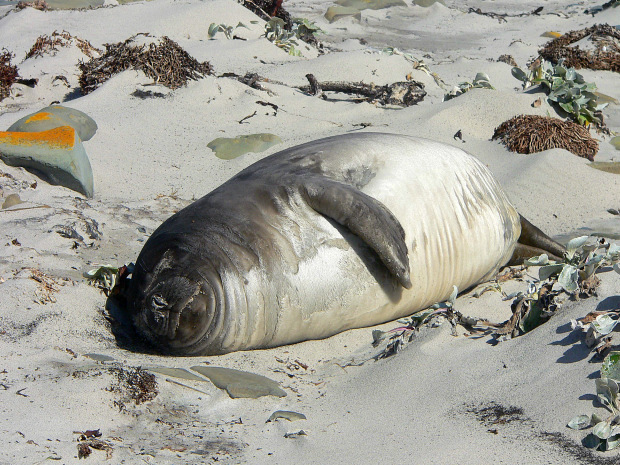 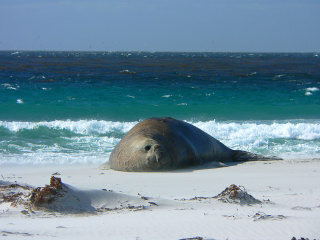 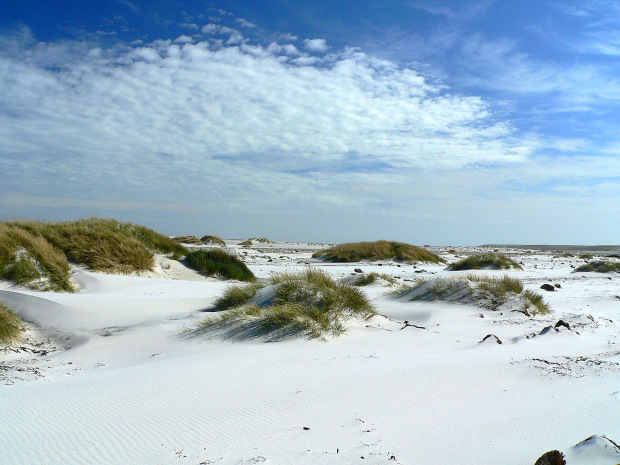 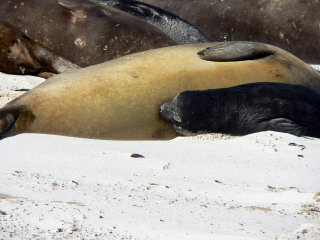 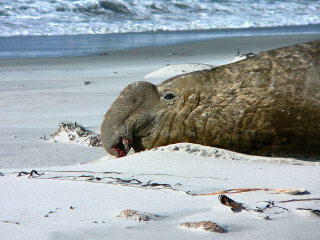 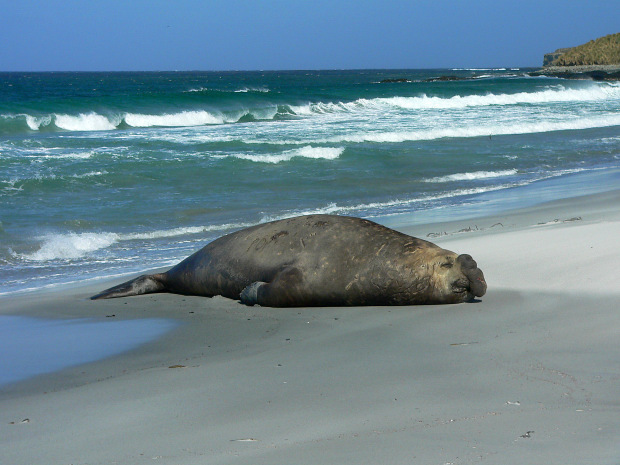 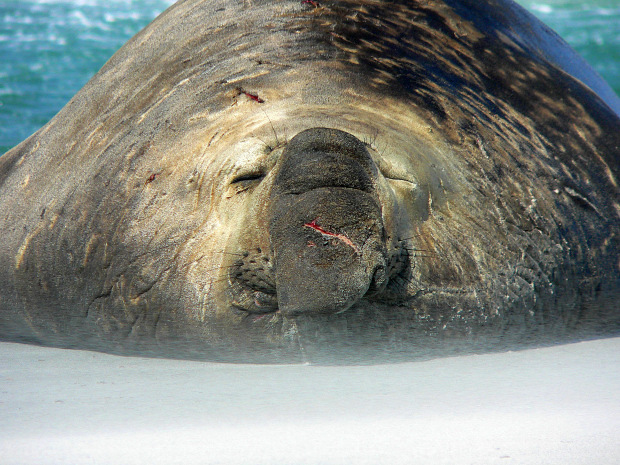 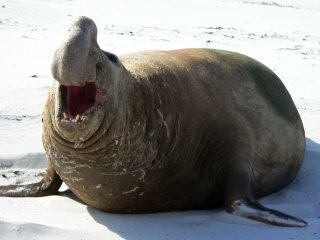 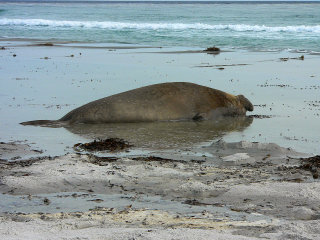 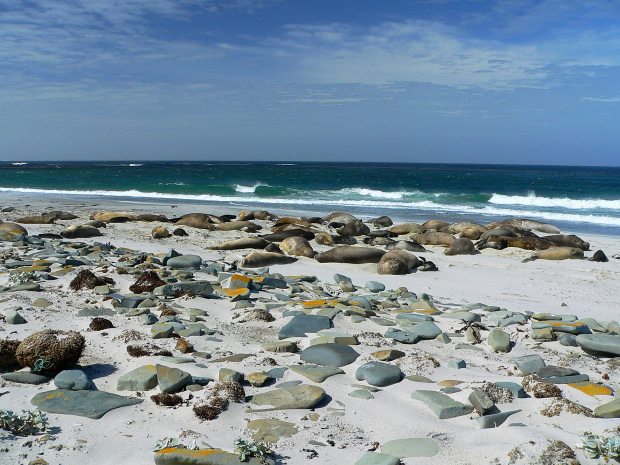 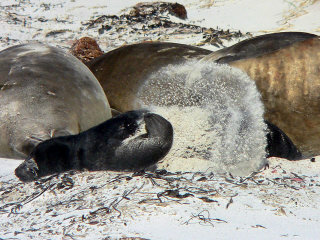 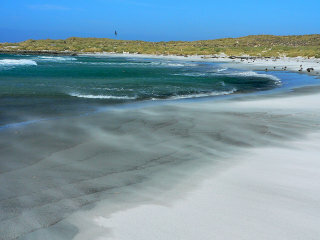 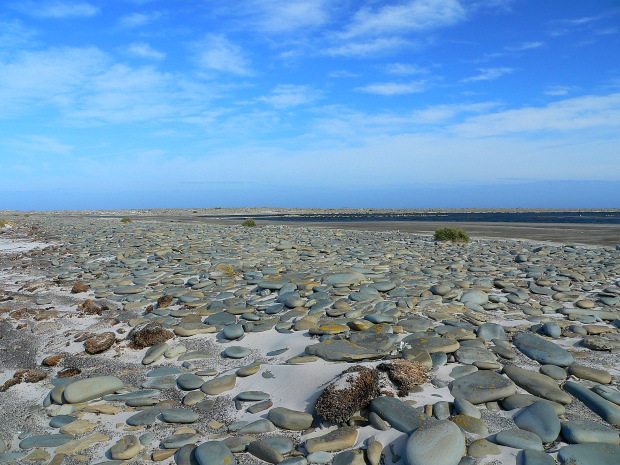 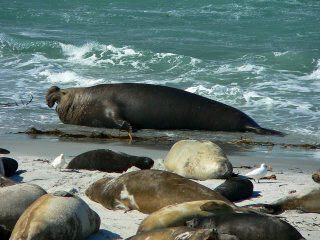 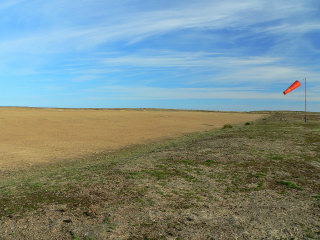 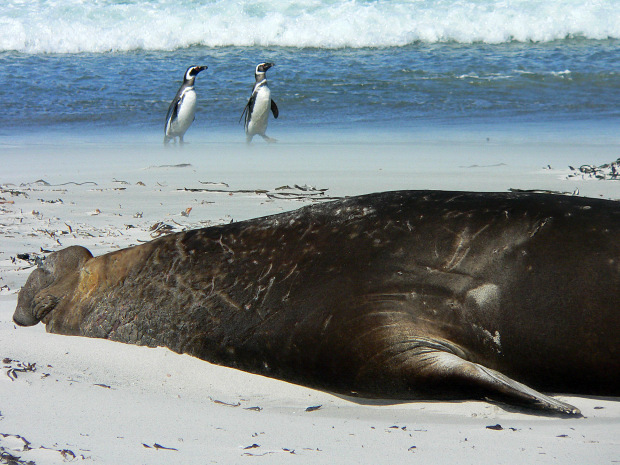 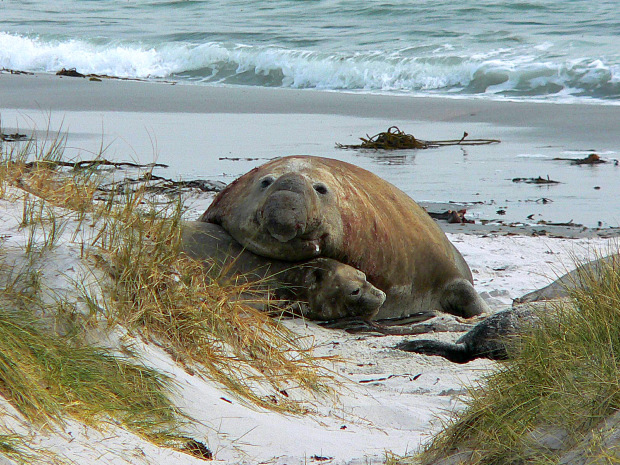 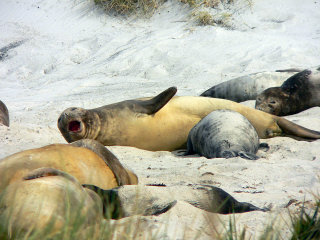 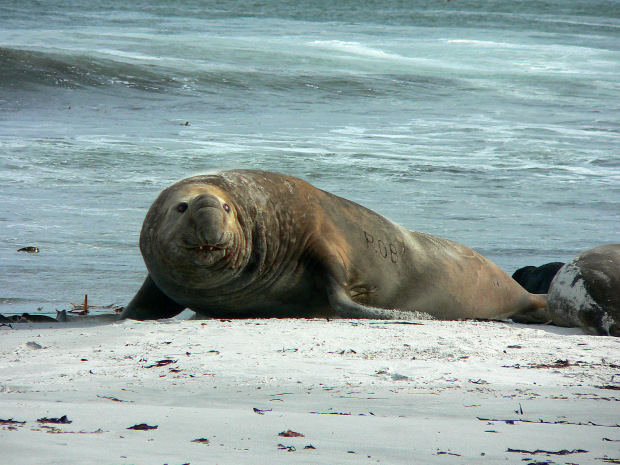 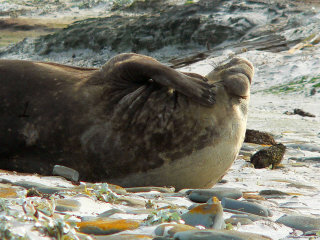 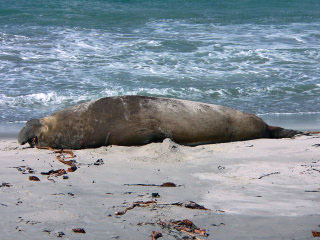 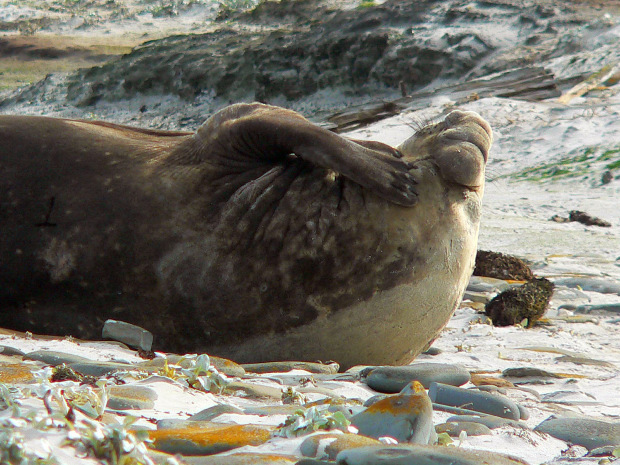 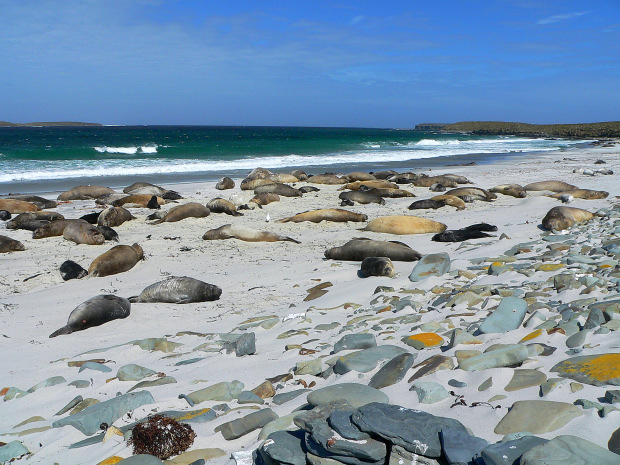 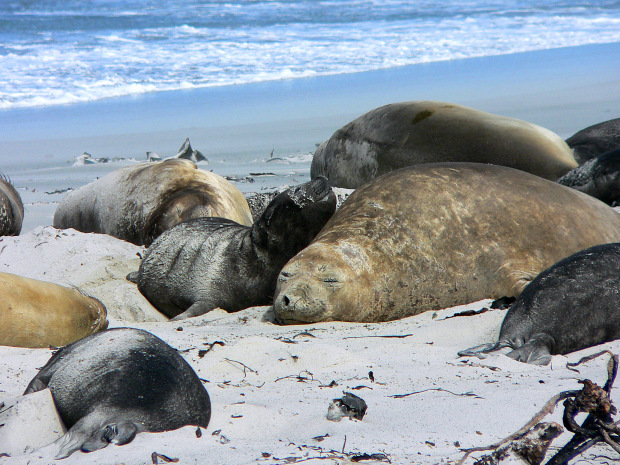 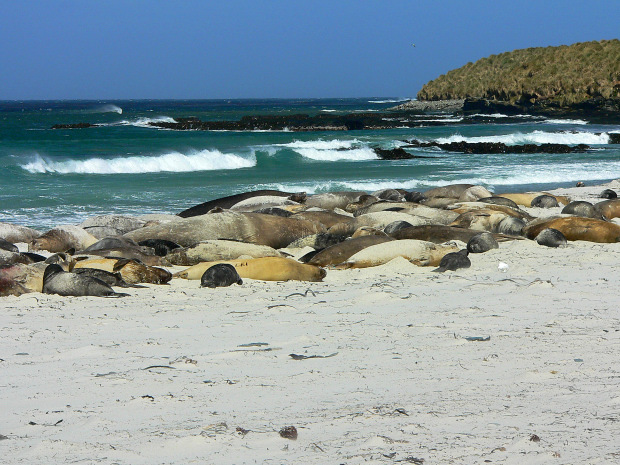 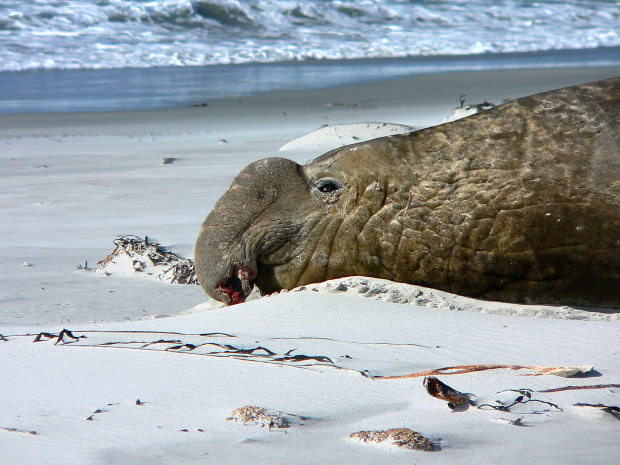 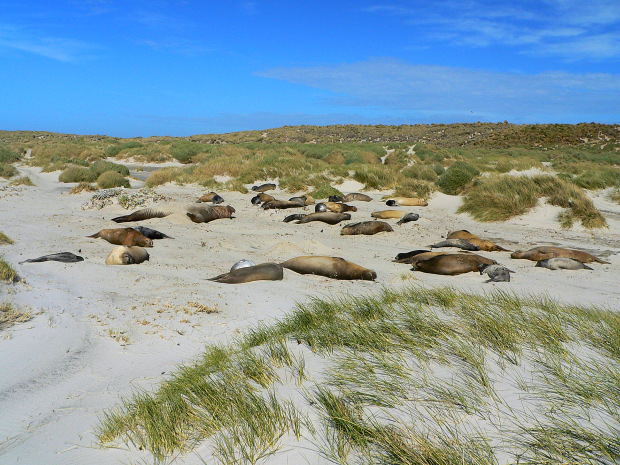 Just 10 minutes on foot from the lodge on Sea Lion island, there are several white sand beaches full of elephant seals. Photos of elefant seals including dominant males: they may be up to 6 meters long with a weight of 3 tons, owning harems of up to 35 females. 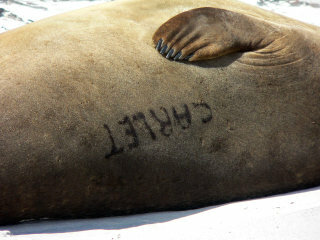 Signs of battle over a male elephant seal. 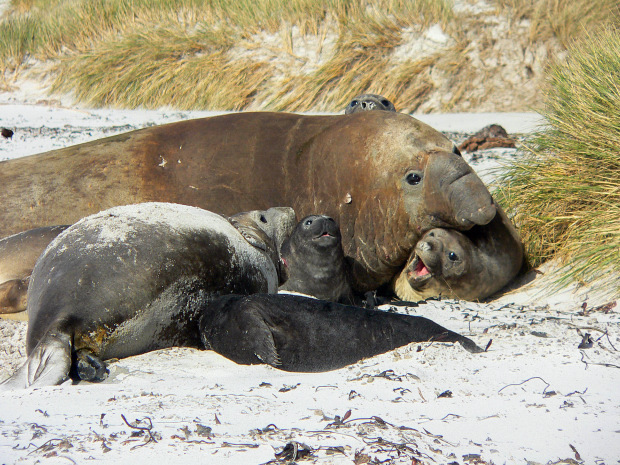 Puppies of elephant seals getting milk from their mother. 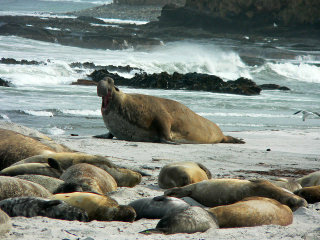 More photos of elephant seals on Sea Lion Island. On Sea Lion Island there is a team of Italian researchers working on place, for this reason, most elephant seals are tagged in order to recognize them easily. 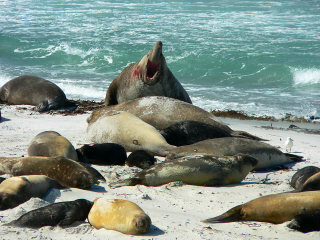 I hike to another beach on Sea Lion island, where there are many more elephant seals. 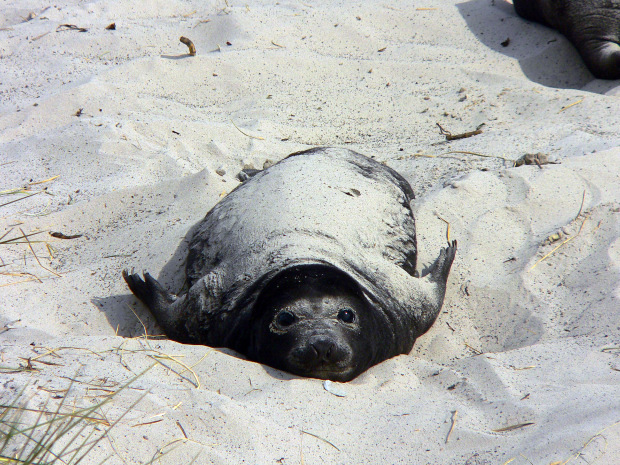 A puppy trying to cover the body with some sand.